Charles T. Davis joined the faculty at Penn State as an associate professor of English in 1961 after teaching at Princeton and New York University. He had also held visiting professorships at Yale University, Bryn Mawr College, and Rutgers University. Davis was promoted to a full tenured professor of English in 1963. 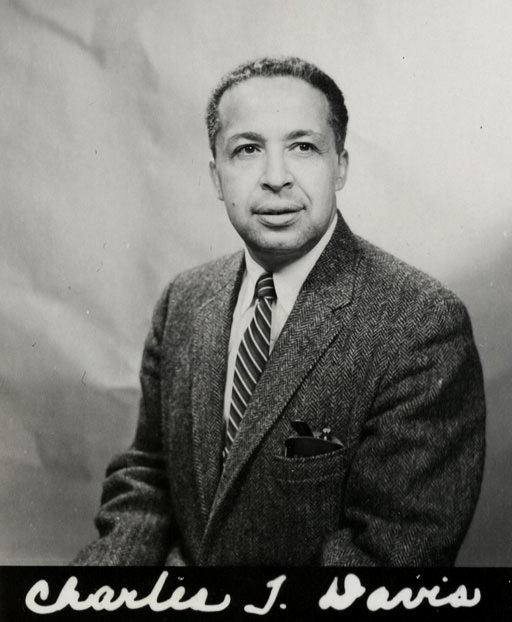 He was the first Black faculty member to become tenured at Penn State. During the 1966-1967 academic year, Davis took leave to lecture on the “American Romantics” at the University of Turin (Italy) under the Fulbright-Hays Act Grant. On November 4, 1968, Davis was elected a member of the State College Literary Club, an exclusive group (only 117 members since its founding in 1896) dedicated to the liberal arts, and the oldest campus faculty organization. He was the first Black elected to membership. In 1969 Davis was elected chair of the University Senate Committee on Undergraduate Student Affairs. He left Penn State in 1970 to head Afro-American Studies at the University of Iowa, and he later became the director of Afro-American Studies at Yale University. At Yale, Davis gained a national reputation as an influential literary critic, author, and scholar. Prior to his death on March 26, 1981, Davis mentored and influenced young high profile scholars like Henry Louis Gates.